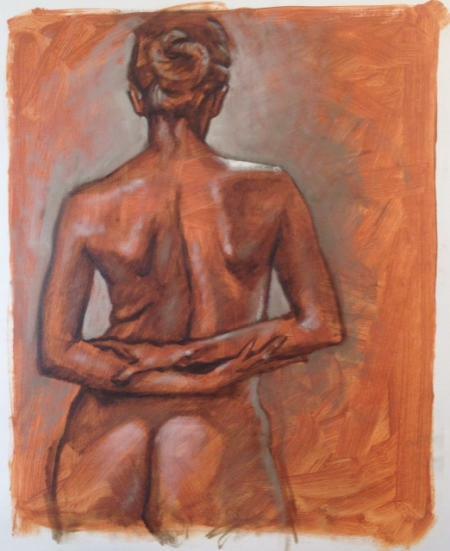 Beginning through intermediate-level students will learn to draw the figure expressively through observation of live models. There will be an emphasis on training the eye to see angles, shapes, and distances. The process of working from general forms to specific details will be explored, with a focus on proportion, anatomy, and patterns of light and shadow. Short and long poses will provide opportunities for dynamic gesture sketches as well as more developed studies. This class is for 14 and up and those younger than 18 need parental permission and should contact VisArts prior to registering. Materials are not provided. Please come with drawing materials. PAPER Medium (not smooth) surface texture recommended.